Only two days after my first article on the various possibilities of harnessing a part of the tremendous energy from our oceans, GreenTech Media provides us with more on this topic. This article focuses forecasting the future of this particular market segment. With less than 10 MW currently installed, experts believe installed power could reach a GW in only six years. As you will see, wave energy is currently the most researched, and this even if tidal power provides serious advantages like an important predictability. 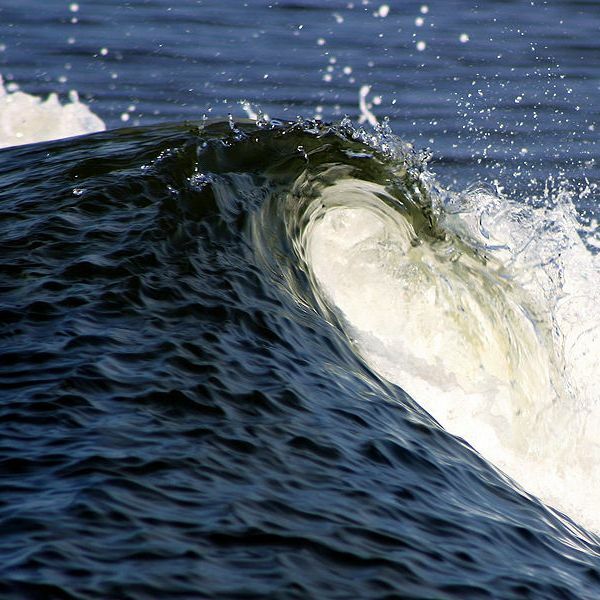 Wave energy technologies are the most heavily researched and funded sector in the ocean power industry. Out of the 35 companies analyzed in this report, 24 are developing wave energy technologies. This is likely due to the scale and availability of the ocean wave resource when compared to the marine current and tidal stream resource. The potential to bring renewable electricity to the nearly 50 percent of the world’s population living within 60 miles of a coastal area is another factor driving the outsized development of wave energy technologies. The majority of companies developing wave energy technologies are working on devices called point absorbers. Point absorbers resemble offshore buoys that mark channels and measure environmental and meteorological data, though they are much larger. These devices are researched and developed at a higher rate than other kinds of wave energy devices because of their ability to absorb energy from oncoming waves in all directions. (…) Tidal energy technologies have received relatively less attention than wave energy technologies, despite their comparative success in commercial deployment and in lab and in-water testing. Of the 35 companies analyzed in this report, only 11 are developing tidal energy technologies. While geography is a limiting factor in the deployment of tidal energy devices, in the future this may be mitigated by some of the promising aspects of this method of power generation. In addition to the obvious technology transfer possibilities from the wind industry to the tidal industry – the link here is much clearer than the technology transfer link between wave power and the offshore oil and gas industry – tidal energy provides an exceptionally predictable source of power. Since tides are a function of lunar phasing, it is possible to predict incoming tidal power hundreds of years in advance. (…) The ocean power industry has developed in locations with the greatest future market potential. As mentioned previously, the United Kingdom could generate close to 20 percent of its electricity from its potential ocean power resource. In Canada this figure is more than 25 percent, while in the U.S. it slightly less than 9 percent. (…) The diffusion of ocean power companies across a small number of largely similar countries reflects the resource-dependent nature of the industry. It is also reflective of the strong maritime heritage of a number of these countries, and the availability of support and service companies with extensive experience in marine construction and engineering. (…) Slightly more than $500 million has been invested in the 35 most active ocean power companies since 2001. This total includes venture capital, government-backed DII funding, and equity and debt financing raised on the capital markets. If you want to learn out more, the whole report is on sale for $2,995. I hope you liked this article and look forward to reading your comments.